The prices here are not available to the general public, only to AGF-approved programs. Click here to learn how to qualify, and how to order. We love our Go vendor partners! We're not trying to compete with them. The equipment below is available to AGF-approved programs in limited quantites for use as club sets or tournament prizes only. They are not for resale or distribution to players for personal use. But don't be sad -- our partners will give AGF-approved programs discounts of 15%or more. 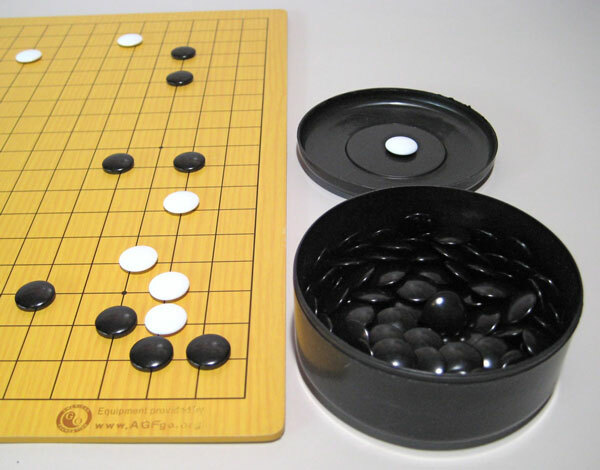 A full size go set. 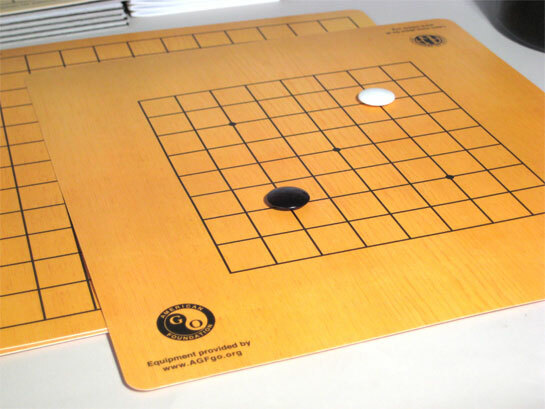 Board and stones available separately. High quality wood veneer playing board, 9x9 on one side, 13x13 on the other.